After the high of Cappy returning to the screen, we take a bit of a break this time around with two smaller affairs on the docket. Get ready for The Darkness and Money Monster. Who hasn’t watched Mad Money with Jim Cramer and wanted to commit some kind of act of violence? I’m not advocating it of course, but dude’s style just isn’t conducive to remaining calm with a little light, afternoon stock market talk. It’s loud, brash and generally worthless advice. So in this film they flip that up a bit by taking dude hostage and exposing the onion-like layers of the big banking, investment and possible corruption involved in the business of buying and selling. The premise, while engaging and timely for our current financial climate, does come across as heavy-handed even in the two minute long trailer. I don’t know if we can expect the same kind of messaging throughout the flick, but expect so. This isn’t to say the flick looks bad. It appears entertaining enough, wrapping as much action around the set of a stock trading cable show as you’ll probably ever get. I just worry when movie messaging might come at the expense of other pieces and that might be the case here. 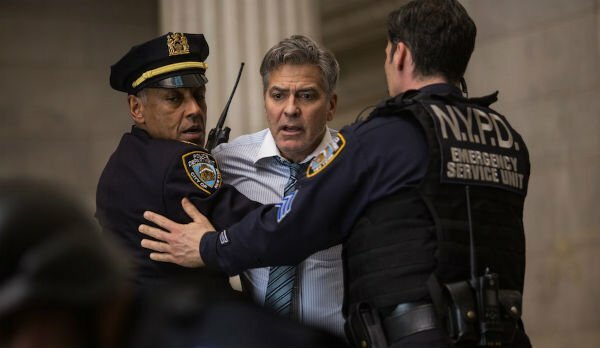 Directed by Jodie Foster (The Beaver-61%), Money Monster looks to overcome a terrible title and hit on all cylinders with a hostage scenario in a world where we already distrust big banking. I think it ultimately works but isn’t a four-bagger (that’s a stock term people. Come on, watch Mad Money for once). No thanks. If there’s one thing we’ve learned from scary movies is that when your kid starts acting weird (chanting, distant look in his/her eyes, writing on the walls, dripping black ooze out of the mouth, etc. ), it’s orphanage time. Don’t hesitate. Just drop them off at the doorstep, hit the gas at 100 and hope it works out better for you next time around. There’s no helping these kids once the demons have taken over and all it’s going to do is depreciate your house’s value and keep you up at night. Not worth it even in the slightest. The Darkness brings us yet another case of a family who waited to long. Their kid brings back a stone from the Grand Canyon and all hell (literally) breaks loose. Now you're paying for exorcisms, cleaning bills out the wazoo, and wondering if you're going to wake up in the morning. Scary times for sure. Greg McLean directs after helming Wolf Creek (53%). This one likely finishes in the same range. It looks solid enough for what it’s trying to accomplish without knocking it out of the park. Only one movie last time around and we get a win in the prediction department with Captain America: Civil War (Predicted: 94% Actual: 91%). Can’t take really any credit here though considering so many positive reviews were already in at the time of post. 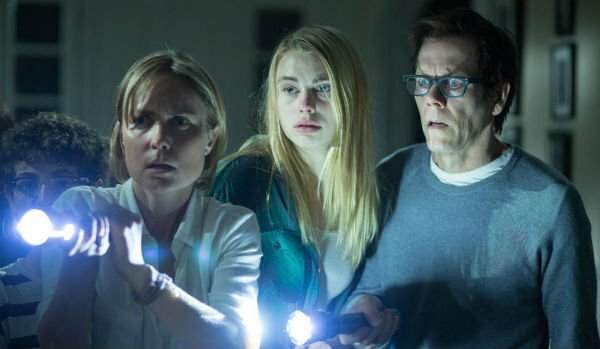 Critics were all over this film and it is crushing pretty much every facet of the reviews and box office. After seeing the first Captain America years ago I never would have thought the franchise would move in this more serious direction, raising the stakes along the way. But they’ve pulled it off and some are calling this one the best comic book movie made yet. Again, seems nuts but here we are. The MCU just gets how to put together stories, keeping all of the players in the fold while pumping out quality stories. They just keep getting better. Next time around we’ve got a big one with Neighbors 2: Sorority Rising, The Angry Birds Movie and The Nice Guys It’s gonna be a Rotten Week!